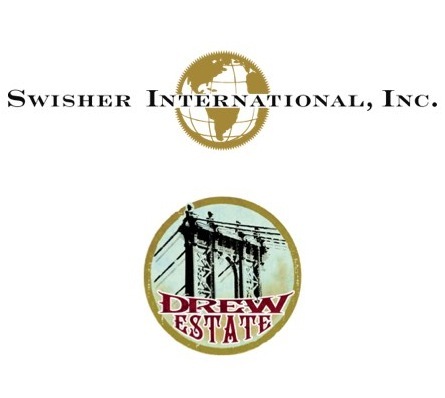 Yesterday, Drew Estate and Swisher International announced an agreement had been finalized for Swisher to purchase Drew Estate. The announcement comes after over a month of intense rumors of the deal, including denials of a finalized deal by Jonathan Drew. Swisher is the largest cigar company in the world by volume and has a massive distribution network beyond traditional cigar shops. Drew Estate runs the largest cigar factory in Nicaragua—producing around 10,000 cigars a day—and owns heralded premium cigar lines including Liga Privada, Undercrown, My Uzi Weighs a Ton, Nica Rustica and Herrera Estelí, along with premium infused cigar lines including the best-selling Acid. The deal, which will be completed before the end of the year, includes the Nicaraguan facilities and Drew Estate’s cigar lines. Monetary terms of the deal were not disclosed. Since both companies are privately held, details (including Drew Estate’s valuation) may never be known. According to various reports, senior management from Drew Estate—co-founders Jonathan Drew and Marvin Samel, President Michael Cellucci, and master blender Willy Herrera—will all stay on, at least in the near term. Jonathan Drew issued the following statement: “We began under the Manhattan Bridge Overpass in Brooklyn with a laser focus on ‘The Rebirth of Cigars.’ Friends, retailers, and consumers connected with our passion and authenticity, supporting us at each stage of our growth. We are eternally grateful to all of those who have helped build Drew Estate, and look forward to advancing the Drew Estate legacy with a great partner.” Other executives praised the agreement in a press release published on Drew Estate’s website. When a business is bought by larger company it’s natural for fans to be worried. Still, there are plenty of reasons for Drew Estate fans to think, despite the uncertainty of the shakeup, this may be a good thing for Drew Estate and the cigars its fans enjoy. Drew Estate hasn’t hidden the fact that it had taken on significant debt to expand to its current size, including from other cigar companies. At least one such loan was tied to $5 million seized by the ATF as part of a settlement over back taxes reportedly owed by House of Oxford, a cigar distributor run by Alex Goldman, who was put in charge of Swisher’s premium cigar division. (Nothing illegitimate was alleged to have been done by Drew Estate and the case has now settled.) Goldman was also instrumental in having Drew Estate make Nirvana for Swisher’s Royal Gold premium cigar venture, a line that will presumably be merged into Drew Estate’s operations. The agreement for Swisher to buy Drew Estate will presumably end any outstanding debts and allow Drew Estate to continue expansion with Swisher’s significant resources. Drew Estate can now refocus on making its cigars and innovating, something it has done remarkably well over the past few years. It’s also worth noting that while FDA regulations are a looming threat to the entire handmade cigar industry, they are especially a threat to Drew Estate, whose infused/flavored lines will likely be hit hardest by FDA regulations. Swisher certainly knows this, which means it is likely to invest the funds necessary to promote Drew Estate’s brands no matter the impact of FDA regulations. Finally, you can’t talk Drew Estate without Jonathan Drew. Anyone who has spent time with Jonathan knows he has a deep passion for cigars and his customers. While sometimes he may seem to be burdened by the business of cigars, there is no doubt he brings a unique energy and the spirit of innovation. Drew and his partners built Drew Estate from a cigar kiosk in the World Trade Center to one of the largest cigar companies in the world, which is a remarkable feat. And Jonathan feels this deal is good for Drew Estate, which is his legacy. Unless evidence presents itself to show otherwise, this deal is good not only for Drew Estate’s owners, but also for its customers. I hope you (and saka) are right that this can be a good thing. But still I worry.